For award to any member of the Coast Guard who rescues, or endeavors to rescue any other person from drowning, shipwreck, or other peril of the water in waters within the United States or subject to U.S. jurisdiction, or one of the parties must be a citizen of the United States. Authorized in 1946, the Silver Lifesaving Medal finds its roots in the Lifesaving Medals of 1874. 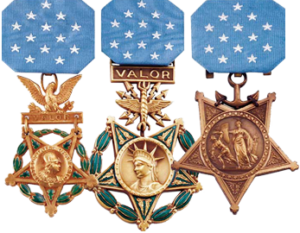 It differs from the Gold Lifesaving Medal in that the award does not require that the act involve the same degree of danger or peril to the rescuer's own life. Like the Gold award it is inscribed on the back with the words "Act of Congress August 4, 1949".